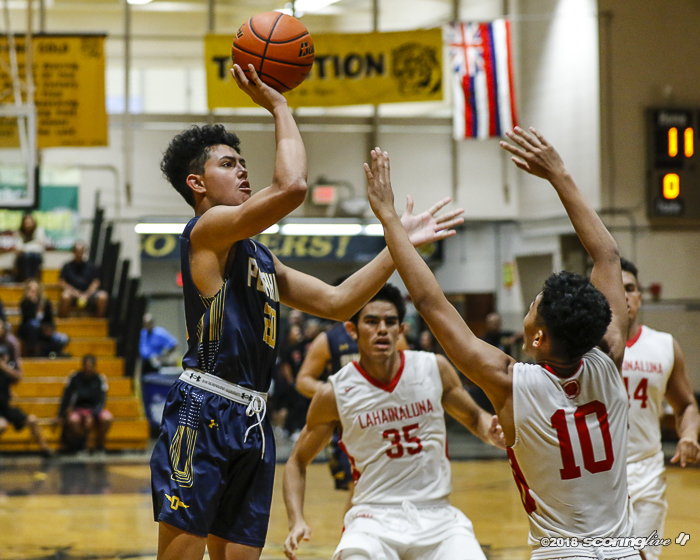 KAKAAKO — For the third year in a row, Lahainaluna's chase for the state championship ends by the hands of the Buffanblu. 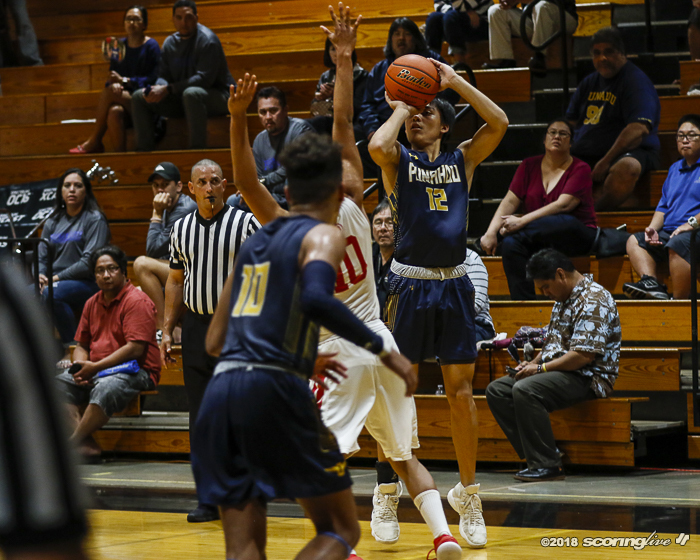 Punahou senior Hunter Hosoda matched a season-high 18 points as he and junior Duke Clemens led the Interscholastic League of Honolulu runner-ups with double-digit scoring in advancing past Lahainaluna, 50-40, in the quarterfinals round of the Snapple/HHSAA Division I Boys Basketball State Championships Wednesday evening at McKinley High School. 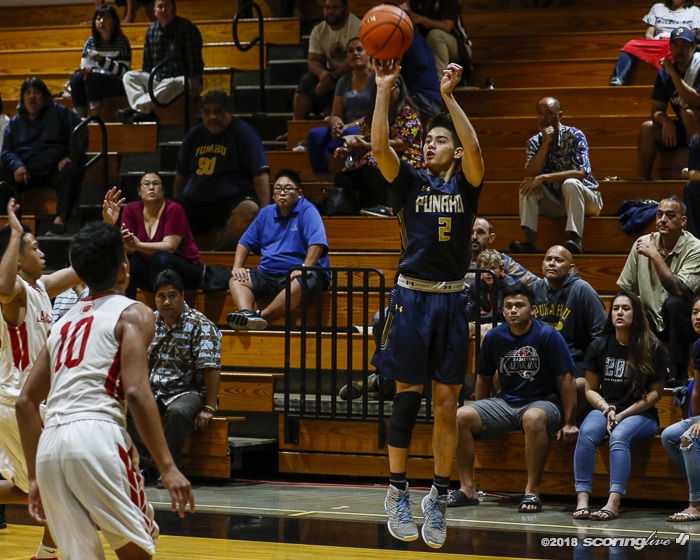 The Buffanblu have also defeated the Lunas in each of their past two matchups in the state tournament, beating them 57-47 in the 2015-16 quarterfinals and 54-47 in the 2016-17 semifinals. 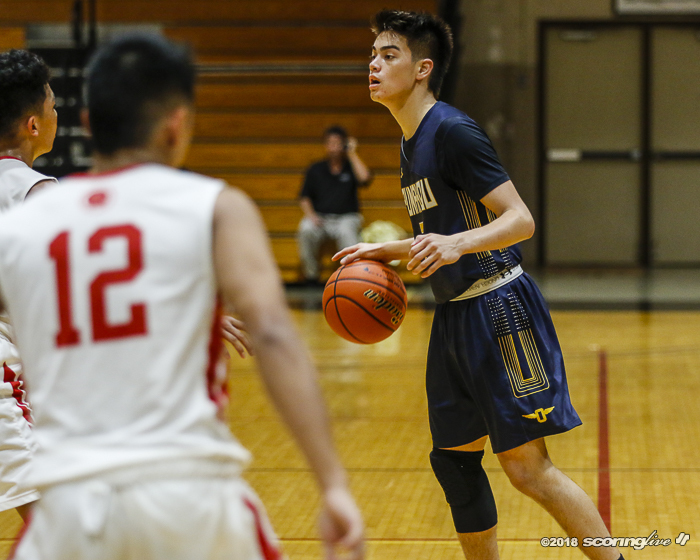 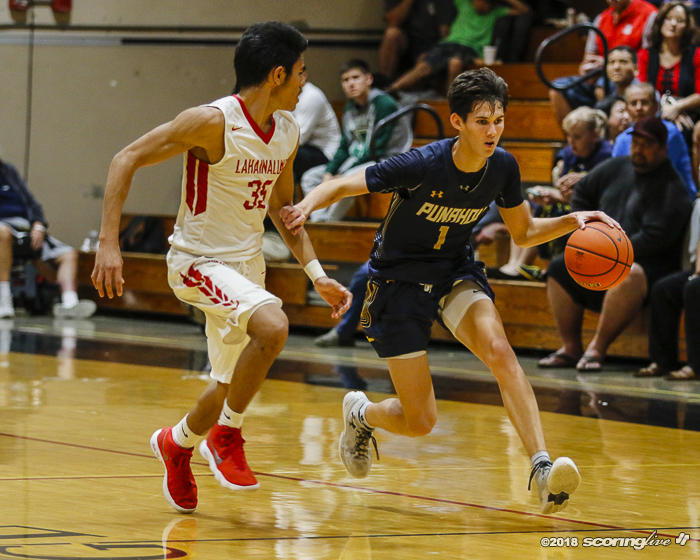 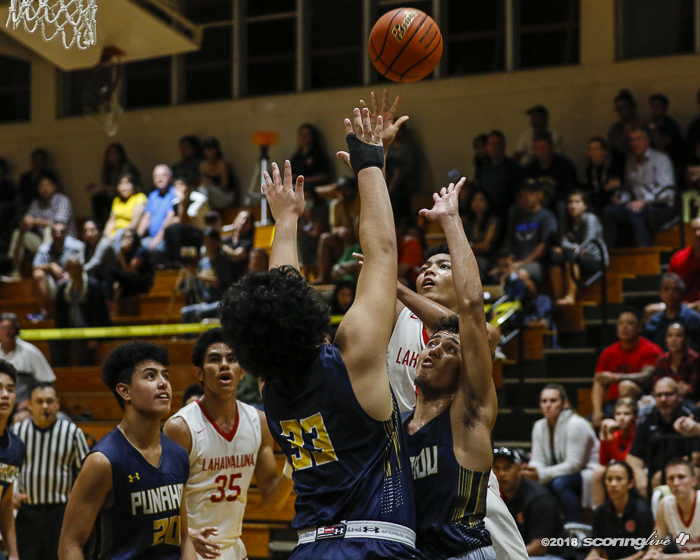 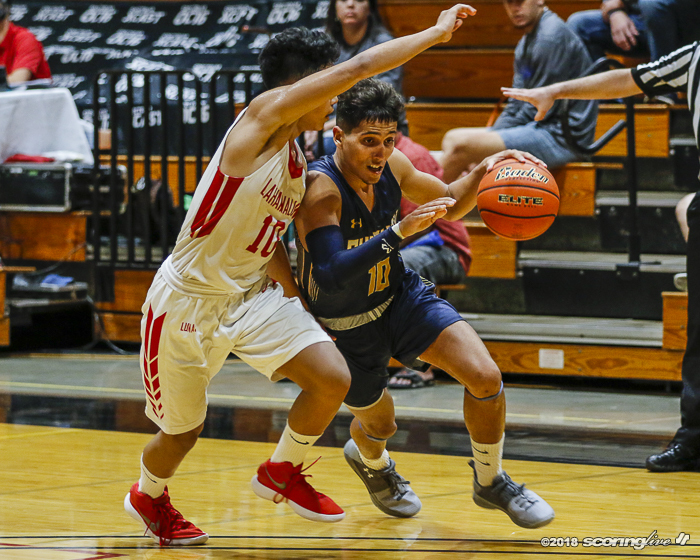 Hosoda scored first on a layup about 40 seconds into the game for Punahou's first and only lead of the game as they never trailed throughout the contest. 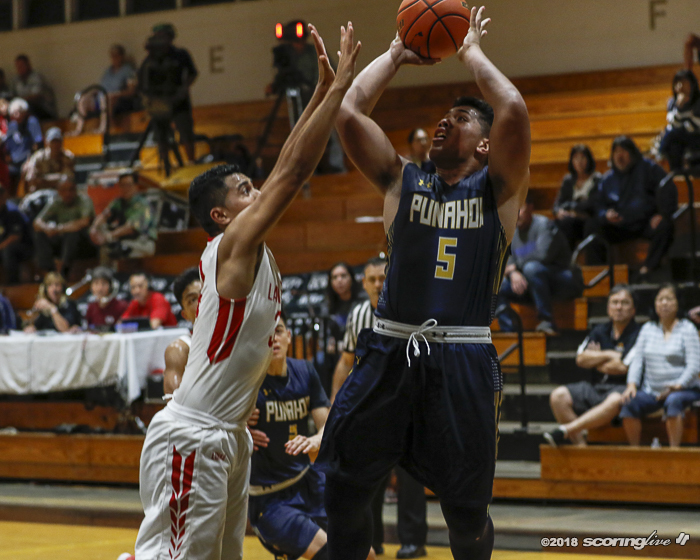 Buffanblu extended their lead to as large as 19 points near the start of the fourth quarter. 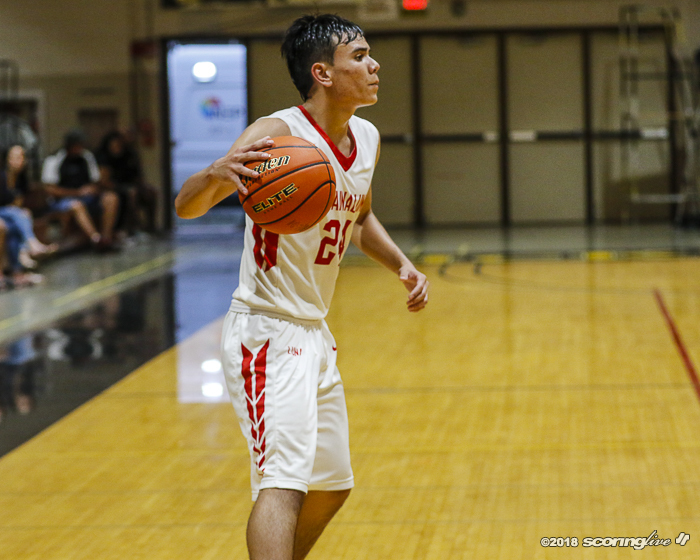 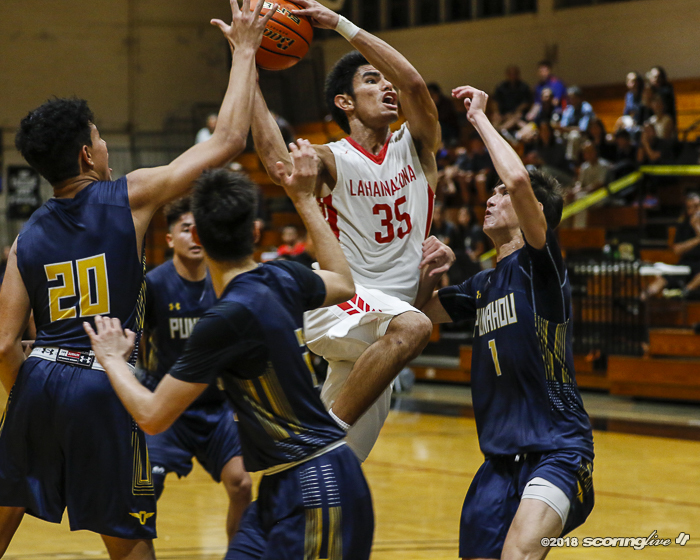 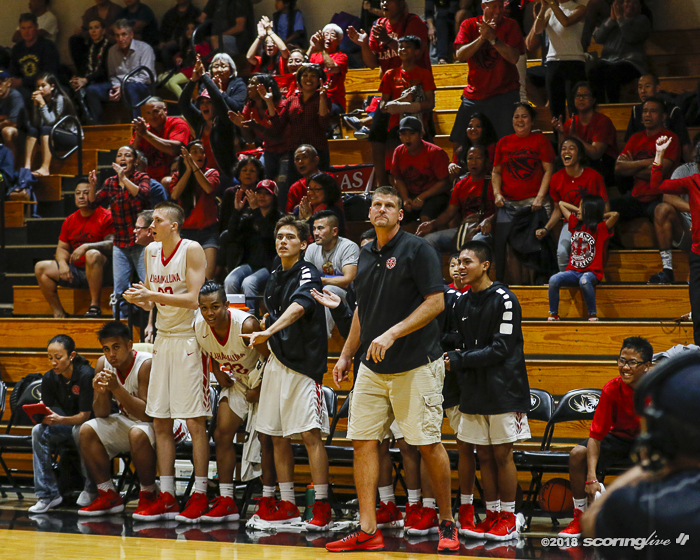 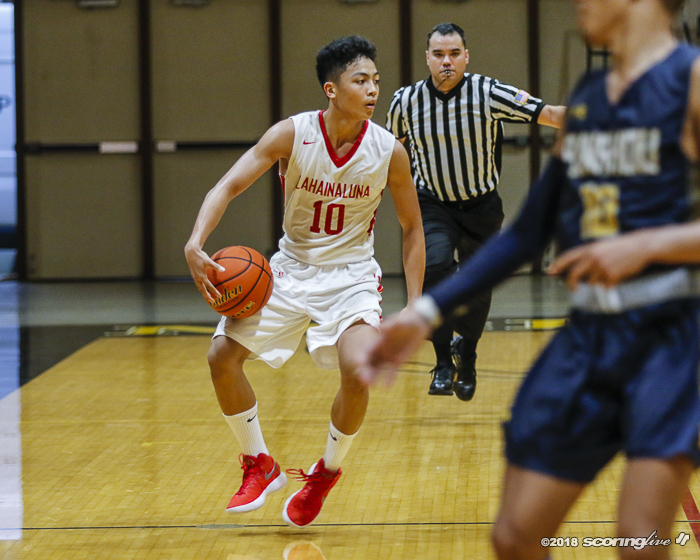 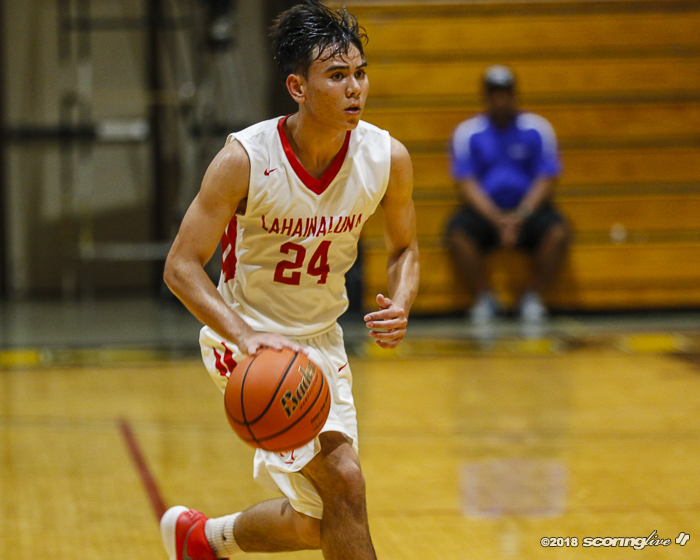 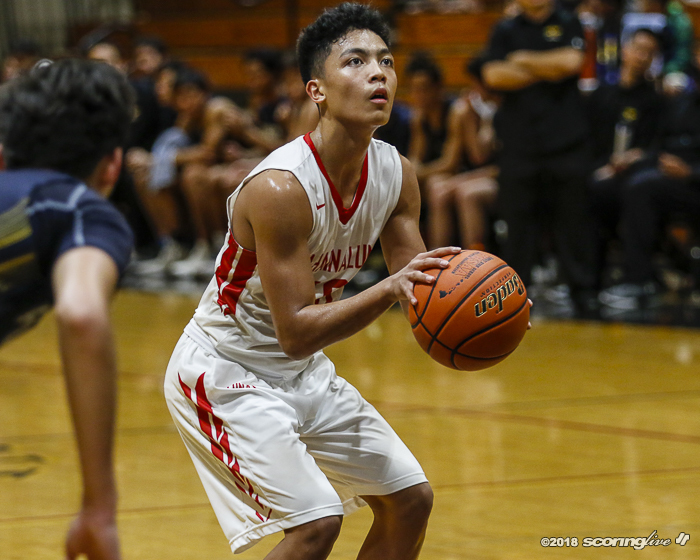 After starting down 0-7, Lahainaluna got it as close as three points with just over a minute left in the first period, but Hosoda hit a jumper 30 seconds later to start an 11-0 run that would last until the 3:15 mark in the second quarter. 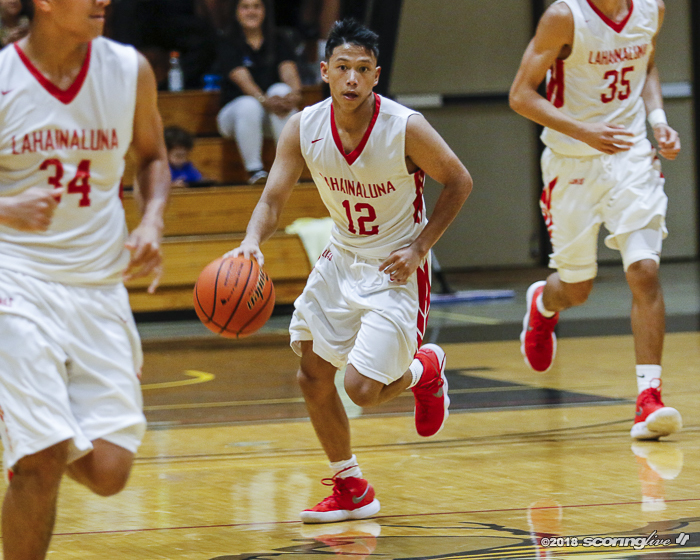 Lunas fought back and cut into the deficit late in the game to get it down to single digits with just under three minutes remaining. 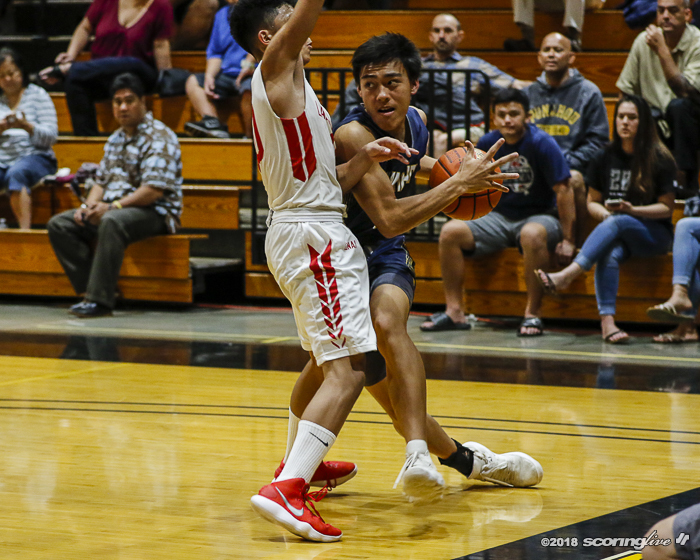 Clemens hit a layup to finish out his points total of 13, followed by Zayne Chong's steal and assist to Hosoda for another layup to go back up by 12. 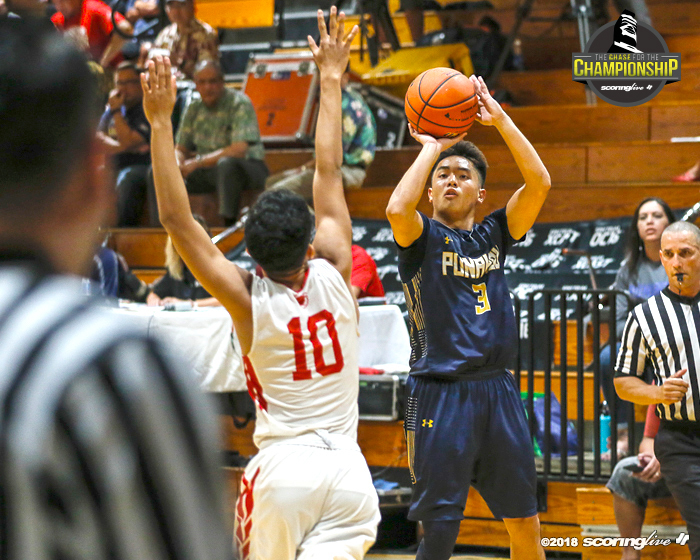 Hosoda sank four free throws to close out the victory for the Buffanblu. 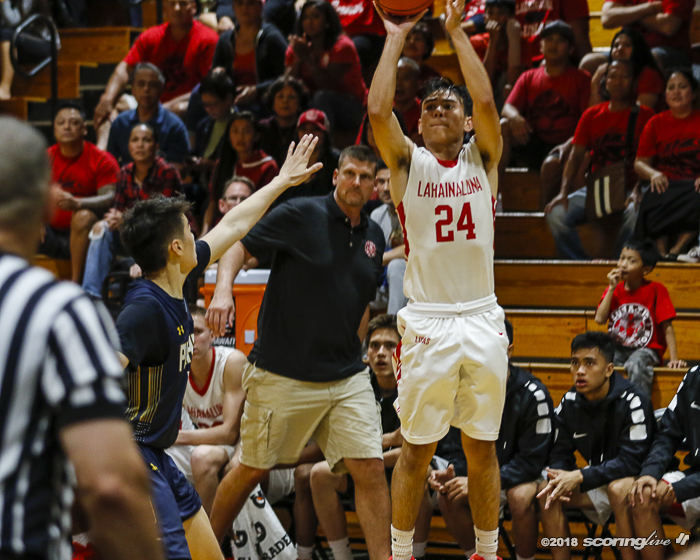 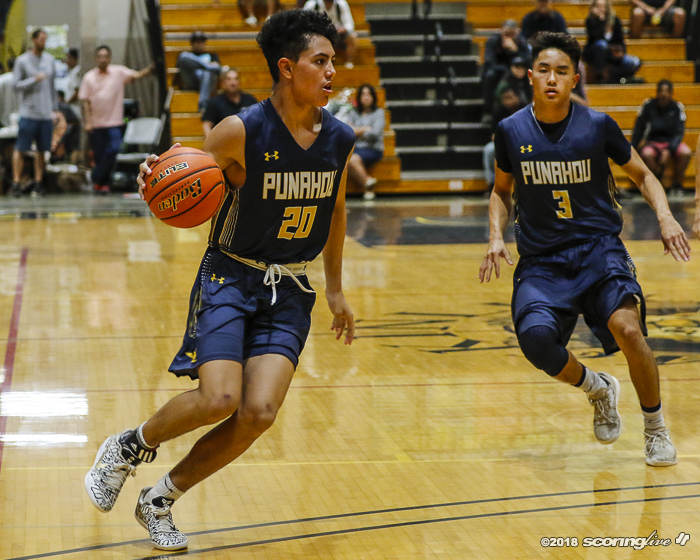 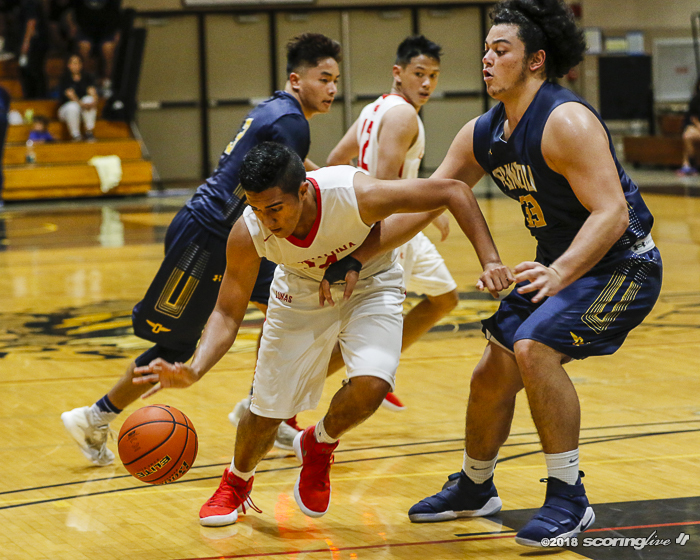 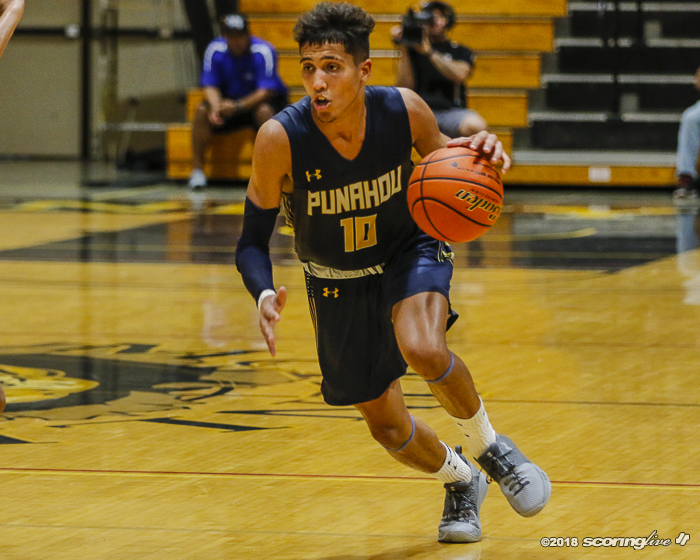 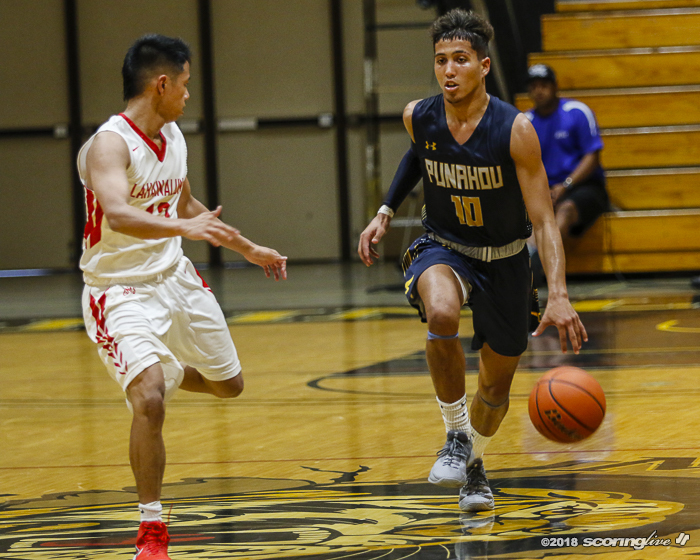 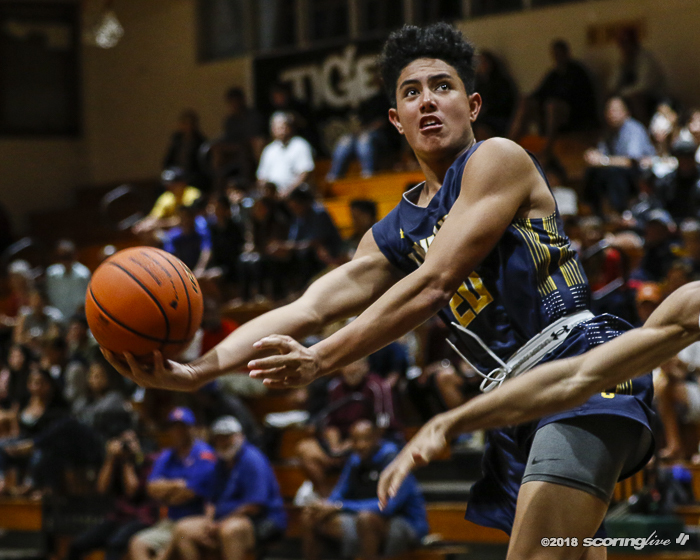 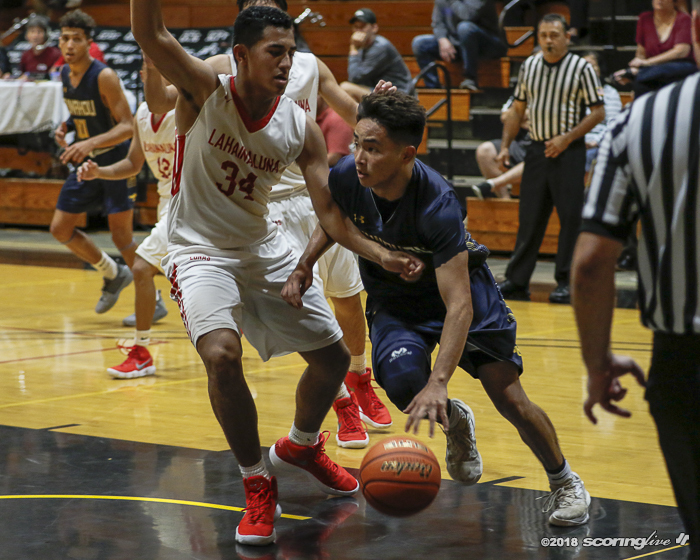 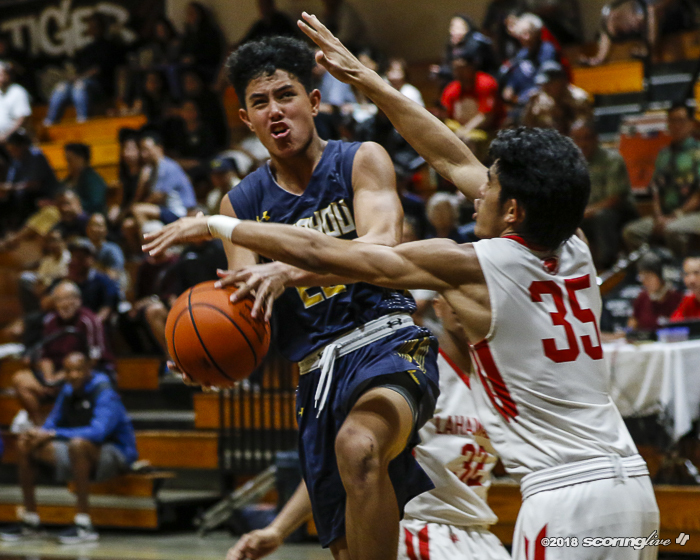 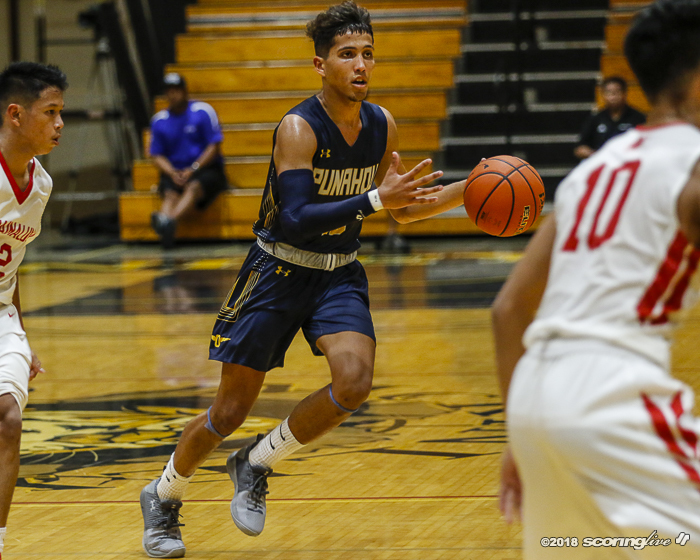 Punahou — ranked second in the ScoringLive/Hawaiian Electric Boys Basketball Power Rankings — improves to 28-4 overall and will play Moanalua, Thursday at 7 p.m. at the Stan Sheriff Center on lower campus at the University of Hawaii at Manoa. 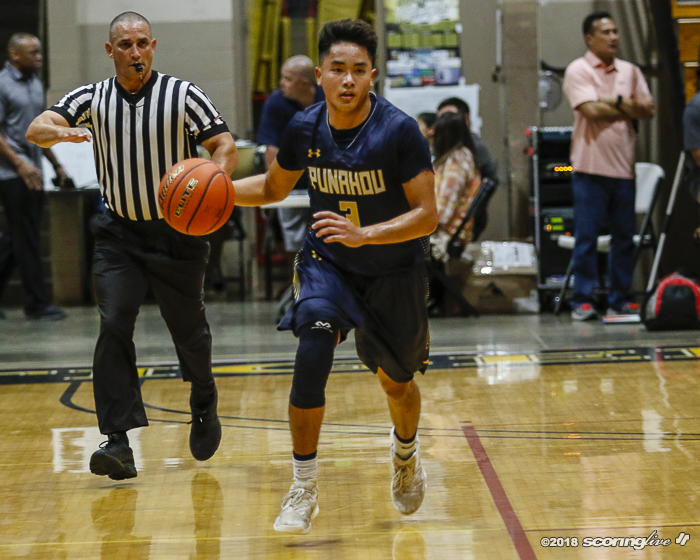 Na Menehune (18-12) finished fifth in the Oahu Interscholastic Association playoffs but pulled off a 52-50 upset over OIA champs No. 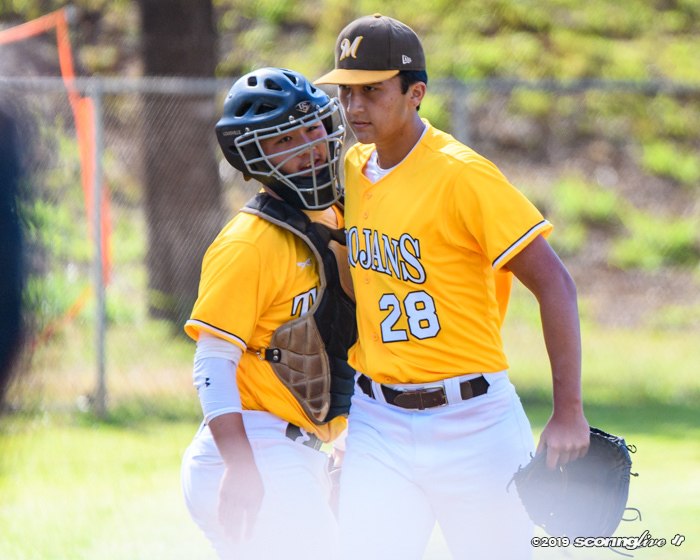 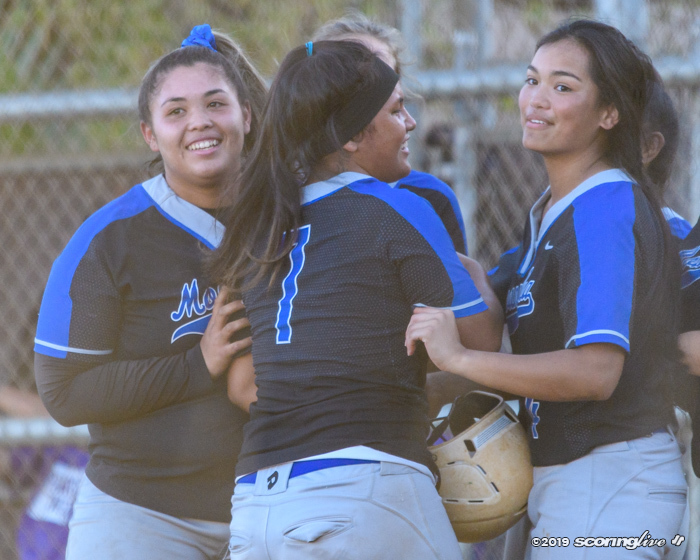 5 Kalaheo in Wednesday's nightcap of quarterfinals doubleheader action at McKinley. 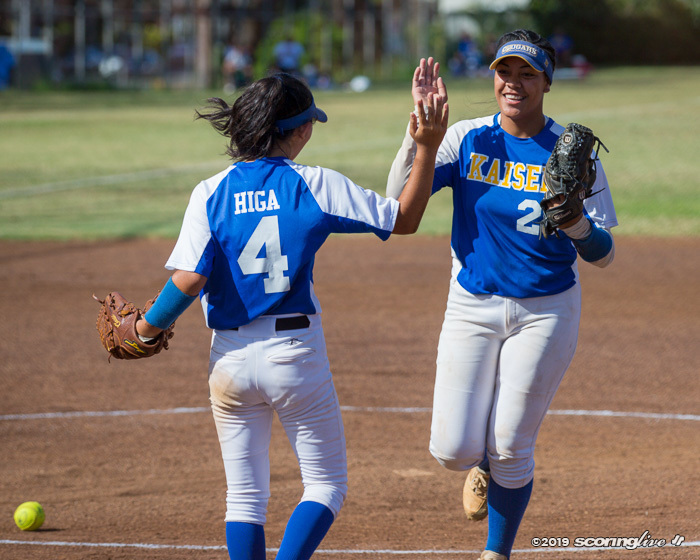 The winner will face the victor of the preceding semifinal matchup (5 p.m.) between defending state champion No. 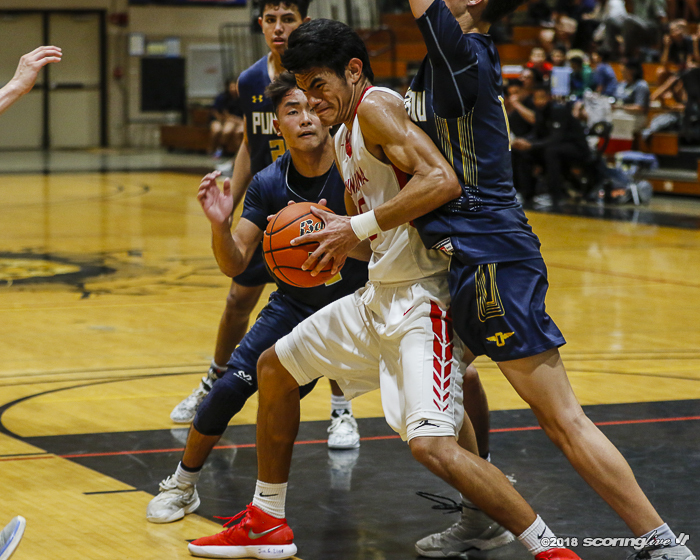 6 Kahuku and No. 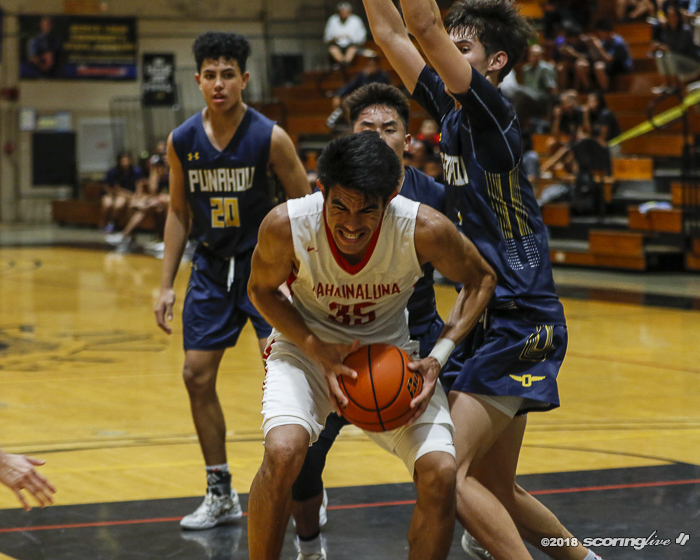 1 Maryknoll. 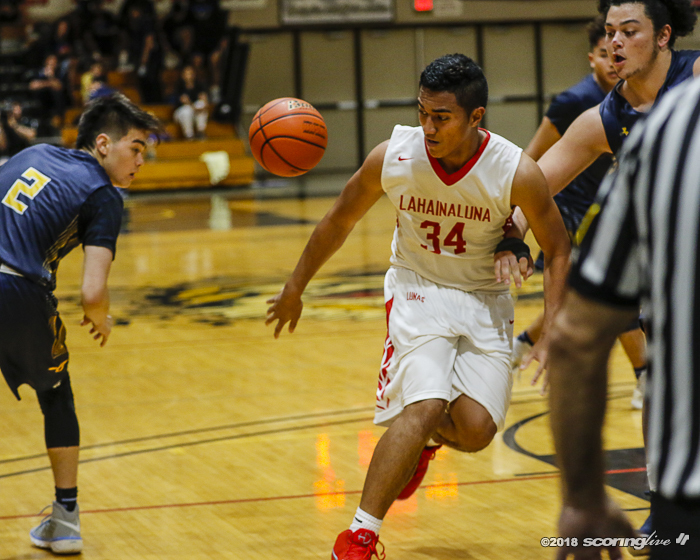 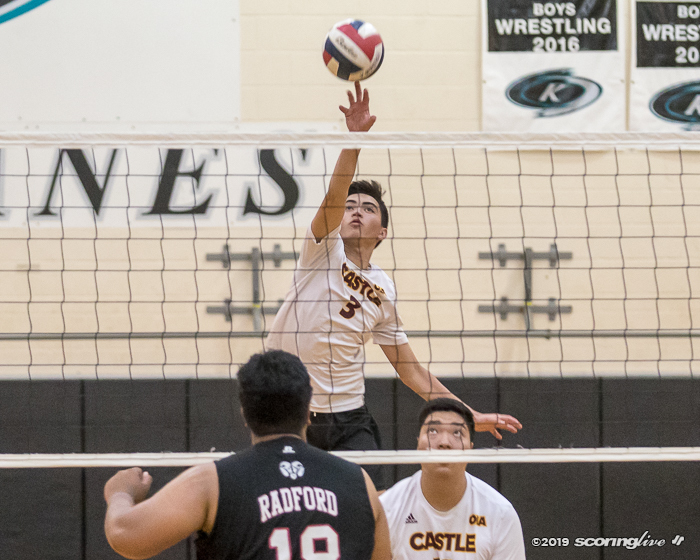 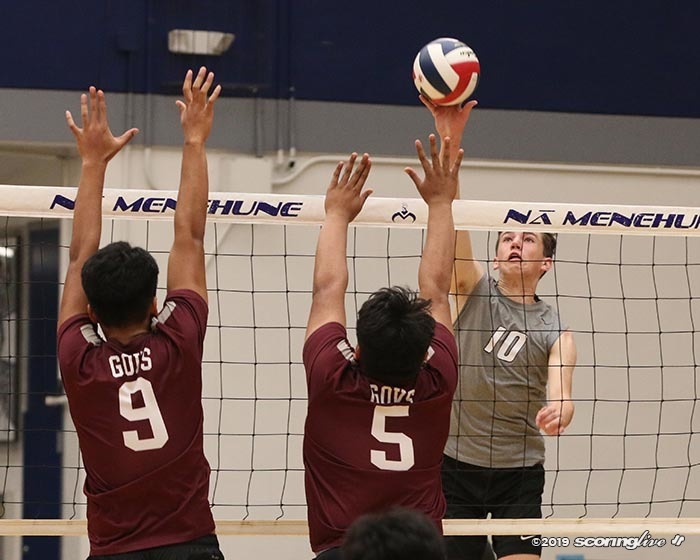 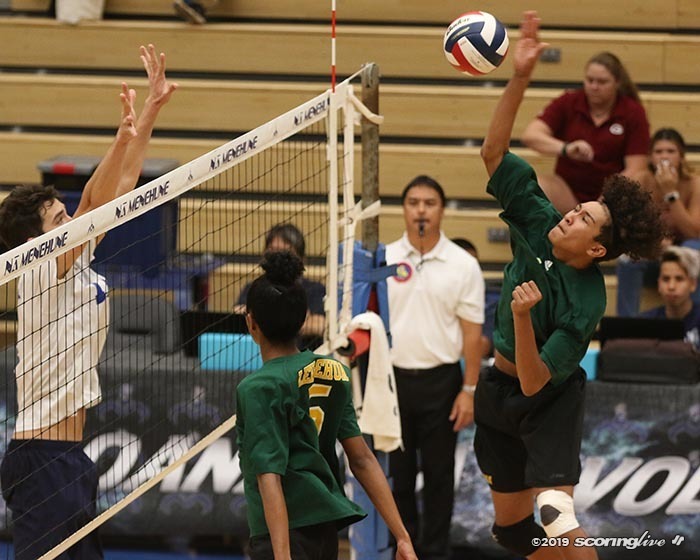 After going undefeated in the regular season, Lahainaluna falls to 19-7 overall. 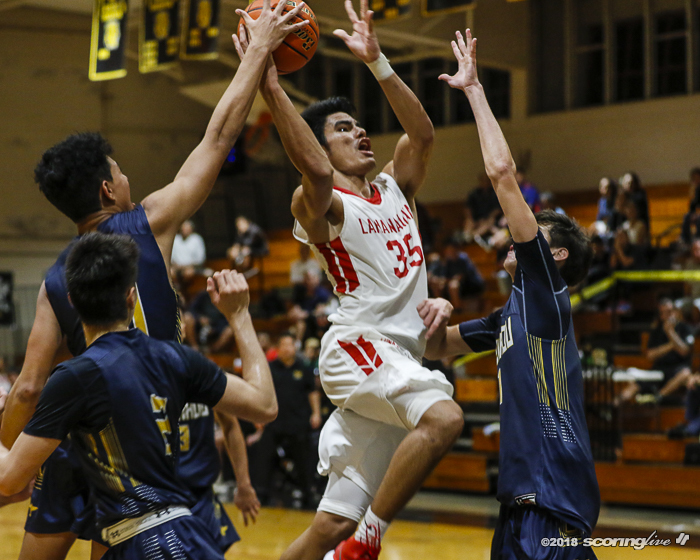 Steven Kama led the Lunas with 14 points and six rebounds. 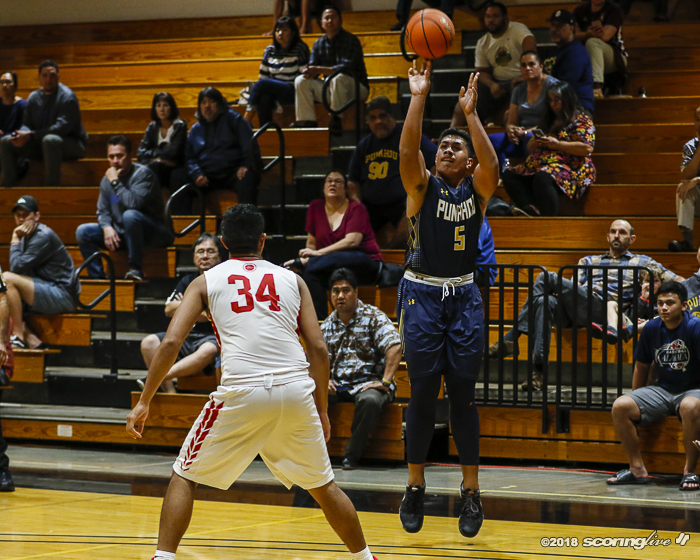 Siale Hafoka also scored in double digits coming off the bench, putting up 10 points on 4-of-5 shooting. 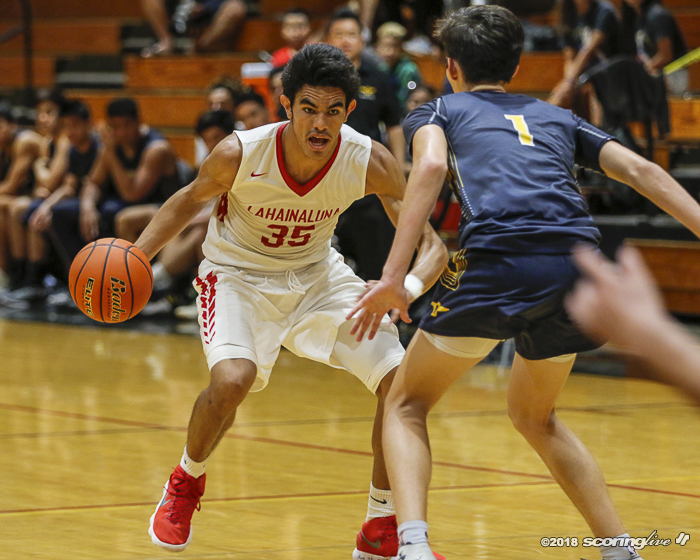 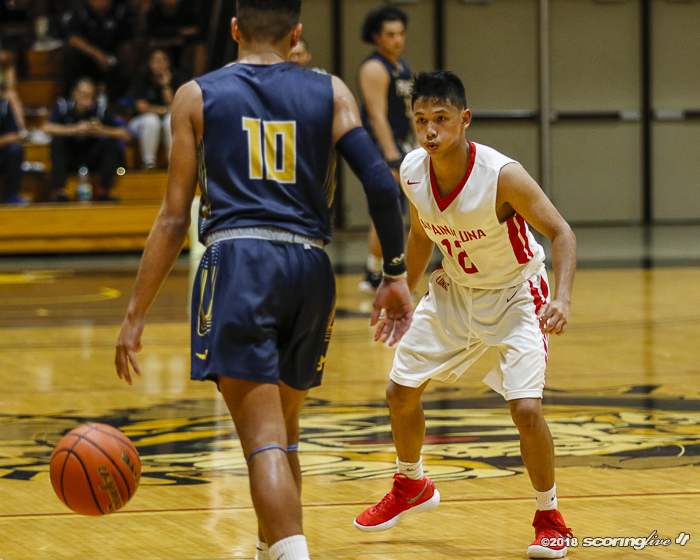 The Maui Interscholastic League winners will finish up in the consolation bracket with a game against Kalaheo on Thursday, 3 p.m. at the Stan Sheriff Center.